Spillway group campsite is located just up the road from Spillway Campground. The group site can be reserved for no more than 25 people. Woods Canyon Lake is located just behind the trees in the picture above. 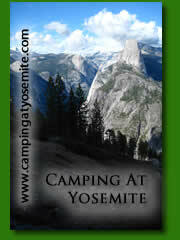 If no camp host is available at the Spillway Campground, check in at Aspen Campground. Woods Canyon Lake, the most popular camping area in the entire state, has much to offer. Virtually every amenity is either available on site or within a few miles. The Spillway Group Campground set just above the lake and has room for 25 campers. This campground is by reservation only. 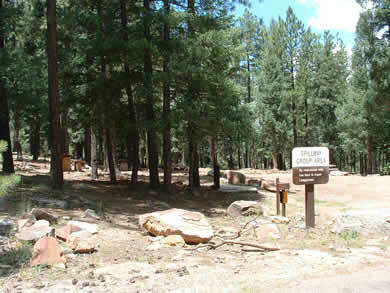 The campground is well shaded by ponderosa pine, oak, aspen and douglas firs.